Young professionals who want to gain a foothold in the booming property industry shouldn’t miss CareerDay at EXPO REAL. 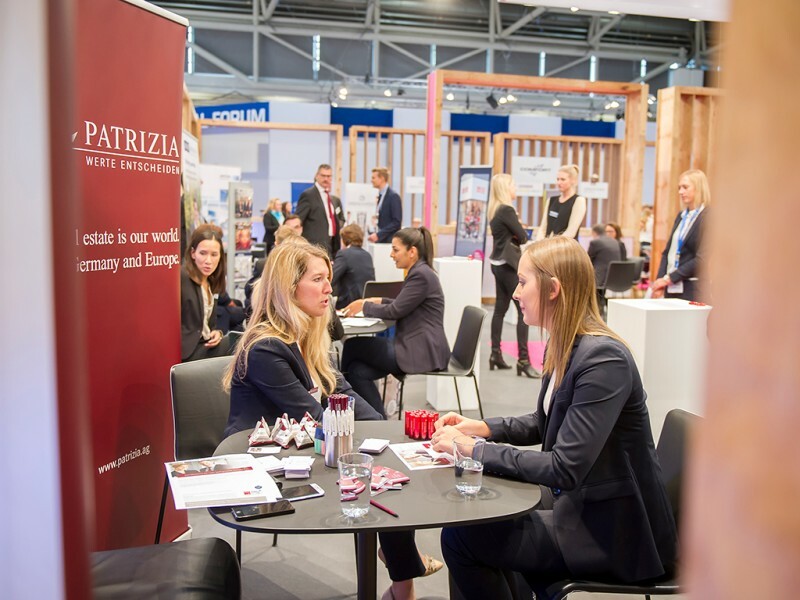 On the third day of the fair, 38 companies are presenting in the CareerCorners—a record participation. What’s more, there are consulting services, lectures and, for the first time, an app for job applicants. The student and trainee ticket is valid for all of EXPO REAL. In alphabetical order, these are: Aigner Immobilien, ALHO Systembau, Angermann Gruppe, Arcadis Germany, BIG BAU Investitionsgesellschaft, BNP Paribas Real Estate, Bonava Deutschland , CBRE, CORPUS SIREO Real Estate, Cushman & Wakefield, Deloitte, Deutsche Asset Management, Deutsche Hypothekenbank, Deutsche Pfandbriefbank, Drees & Sommer, DU Diederichs Projektmanagement, ECE Projektmanagement, Engel & Völkers Commercial, Estama, EY Real Estate, Gleeds Deutschland, Greif & Contzen Immobilien, HeicoGroup, Hochtief, JLL, Kaufland, KGAL, KPMG Wirtschaftsprüfungs-gesellschaft, Lidl, Lührmann Deutschland, NAI apollo, Patrizia Immobilien, Robert C. Spies Gewerbe & Investment, Savills Immobilien Beratung, Sodexo, Spie Deutschland & Zentraleuropa, Thost Projektmanagement and TÜV Süd. For the first time, job applicants can also show a high profile via an app. CareerDay is bringing the app provider Talentcube to the fair specifically for that purpose. Their team will be explaining how the tool works. In addition, job offers will be announced exclusively at EXPO REAL. And the conference program provides a wealth of tips and information about occupational profiles in the property sector and for the perfect job application. The student ticket is valid not only for CareerDay but for all three days of EXPO REAL—and thus for the extensive conference program too. This examines the diverse aspects of the real estate industry as well as the general political and economic conditions at present. Young professionals who want to gain a foothold in the booming property industry shouldn’t miss CareerDay at EXPO REAL.